Traditional Nordic fare sure has stood the test of time and its simplicity, few ingredients and reliance on local seasonal produce. There is a lot of interest, as well as research, into what is generally known as the Nordic Diet. It has been compared to the Mediterranean Diet for its health properties, and recognized as a healthy diet better suited to a colder, northern climate. 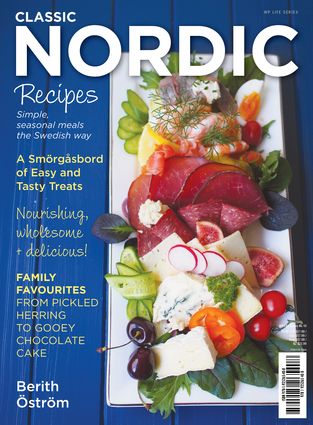 Here Swedish native Berith Ostrom shares the classics and family favorites that she still cooks and loves today. The Number One rule of a Smörgåsbord is not to try and sample everything at once but to take your time; the same philosophy applies to the delectable recipes in this book. From mains to drinks, desserts and fermented favorites, there's something for everyone and something for all occasions to enjoy. Includes metric measures. Berith Ostrom is a native of Stockholm, and this is a collection of her family's favorite food.